"The Aging Brain & Life Decisions"
Click here for the class notes as given in class. The photo to the right is the image we showed in class today - a red velvet cake topped with a fondant 'cortex.' Note that Charlie said the size of our neocortex was not to scale. Here is a youtube link showing you how to make it. Question: What are the minimum requirements are for a legal do-not-resuscitate order? The Michigan "statutory" form for a DNR Order signed by a physician. Michigan law requires that a DNR Order be in substantially this format: click here. There is a similar form for a DNR Order based on religious preference: click here. The format for a DNR identification bracelet: click here. The Michigan Do-Not-Resuscitate Procedure Act does not control DNR Orders in hospitals. DNR Orders in hospitals are one of the many types of orders that physicians write and can place in patients' records. Question: What percentage of my clients have had a neuropsychological evaluation? Answer: Please check back later. I am researching this as of 5:30 p.m. on 11/1/16. 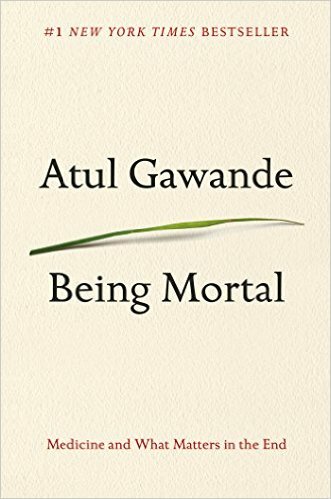 Being Mortal: Medicine and What Matters in the End. Atul Gawande. 2016. "The New Science of Exercise." Time, Sep 16, 2016 by Mandy Oaklander. "Untangling Alzheimer's: Simple Lifestyle Changes May Prevent Cognitive Decline. "Aug 11, 2016 by Mandy Oaklander. “Cognitive Skills and the Aging Brain: What to Expect.” Dec 1, 2015 by Diane B. Howieson. Alzheimer's Association. 2016 Facts and Figures. "Depression: What You Need To Know." National Institutes of Mental Health (NIMH); website / electronic booklet.